The years since the closure of the Great Central Railway's London Extension have seen many changes to the old route's infrastructure. Cuttings have been filled in, viaducts demolished and bridges torn down. In many places, there is little left to show of Britain's last main line. Of the line's stations, only those of Marylebone, Loughborough Central, Rothley and Quorn & Woodhouse survive intact - the latter three being part of the preserved Great Central Railway. Nottingham Victoria was replaced by a shopping centre - with only the clock tower still standing today. Brackley Central's booking hall still survives as a tyre repair centre, and Rugby Central still has its platform and that is all. But what of Leicester Central station? The following pages tell the story of this once important stopping point and it's place in the history of the Great Central Railway. Beginning with the coming of the railway, the story will follow the life of Leicester Central through its numerous changes in ownership to its eventual closure in 1969. Using photographs from the S. W. A. Newton collection and other sources, the story will take a look at the operation of the station and the staff who made it run like clockwork - concluding with a look at what there is to see of the site today. This is the introduction to 'All Change!' 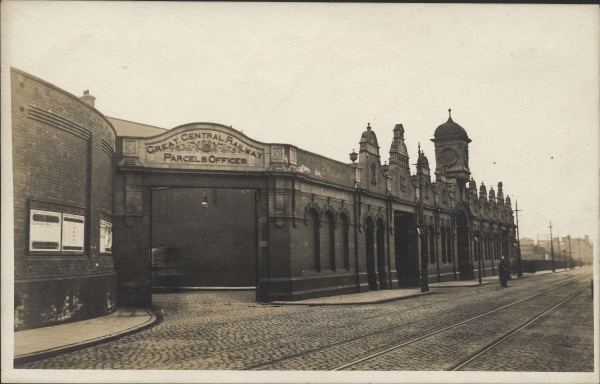 - The Rise and Fall of Leicester Central Station.